In the world of SEO, a citation is when your business’ information (name, address, website, and/or phone number) appears on a website other than your own. Citations that include a link are better, but it’s not required. The important thing about citations is that they are an independent source that verifies your business’ information. Citations are a very important part of the search engine’s ranking algorithms. The more citations your business has, the more likely it is to rank highly on Google and Bing local search pages. The sites your citations appear on is another important part of the equation, as well. Citations on trusted and high traffic websites are weighted more heavily than those on low traffic sites that no one has ever heard of. Search engines rely on citations to ensure that web searchers get useful results from their search pages. Google, Bing, and Yahoo all place a high value on the trustworthiness of their search results. In order to make sure that reliable, established businesses rank higher under the appropriate search terms, all three search engines use citations as a way to verify a business page’s legitimacy, weeding out fly-by-night businesses and scams in the process. Unfortunately, businesses that don’t know about the importance of citations, or how to get them, end up being penalized as well. The good news is that there are literally thousands of places where businesses can build a collection of citations that will give their website extra legitimacy in the eyes of the search engines. 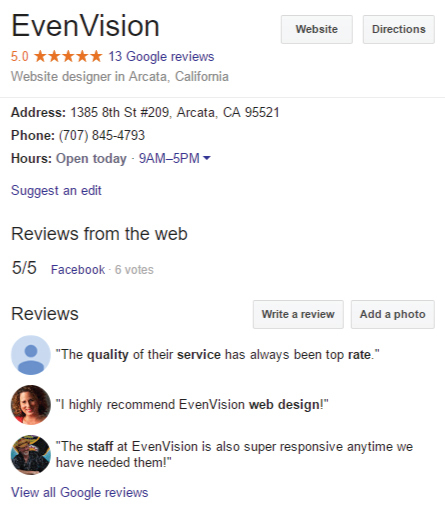 Creating a collection of citations can take some time, but the effort put in to getting your business listed on reputable websites is more than worth it compared to how it can improve your placement on the search engines. 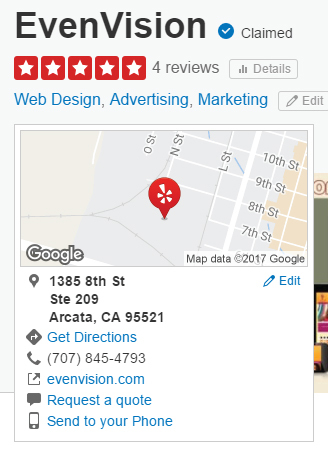 Local indexes such as Yelp, Yellow Pages, and Foursquare are one of the main sources used by the search engines to verify a business’ online information. When your business has a completed profile on one or more of these sites, it drastically increases Google and Bing’s confidence that your business’ information is accurate and up to date. If your area has an online directory of local businesses, getting your business listed is one of the best ways to earn citations. Regional directories, especially human-edited ones where the listings are verified and entered by a real person, are very well indexed by the search engines. The easiest way to find these directories is to search them out online. Search for “[city] directory”, “[county] directory”, “[state] directory”, and other similar terms, then find out what it takes to get your business listed in any of the directories you find under those searches. Another valuable source of trustworthy citations is local business organizations, such as your city’s Chamber of Commerce chapter. In most cases, these organizations are happy to list local businesses on their site by request, which can give your business valuable exposure to both the local community and data aggregators like Infogroup and Neustar, which search business group rosters and local government databases, and then license the information they collect to the search engines. Directories aren’t the only local sites that search engines put a large amount of trust in when it comes to citations. Local blogs in particular are a great place to earn more citations for your site, and usually aren’t hard to get mentioned on. Do a Google search for blogs that write about your city, neighborhood, or local industry, and then contact the writers to see if they’ll write a profile about your business or conduct an interview with you. Since most blog writers are constantly on the lookout for new content to improve their own rankings, business owners can often build a mutually beneficial relationship with local blog writers. Just like the search engines place a lot of faith in local sources, they also put a high premium on the information contained on industry-related sites and directories. Even if a site isn’t specific to your region, getting your business mentioned on an industry directory or trade association site are great ways to build up citations. It’s important to note that new citations won’t have an immediate effect on your page’s search ranking. Since it usually takes Google several weeks or months to update their indexes based on the information their crawlers collect, it may take a while to see any significant results from new citations. Once the search engines have accounted for any new listings, however, the work you put into building new citations will start to pay off. Having trouble with your citations? We'd love to help!